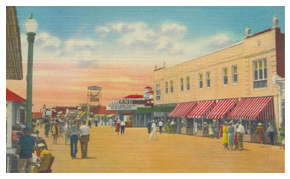 Shriver’s is the oldest business on the boardwalk in Ocean City, New Jersey. 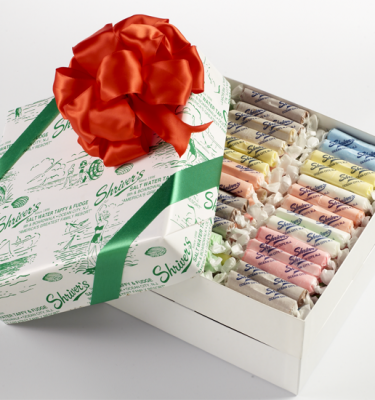 In 1898 William Shriver founded Shriver’s as a restaurant, ice cream, and candy store. 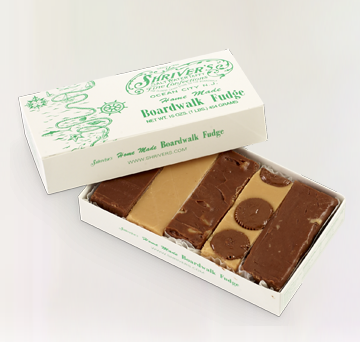 In 1959, Shriver’s was purchased by four brothers who owned Dairy Maid Confectionery Company; a retail candy and ice cream shop chain throughout Philadelphia. Today, it is owned and operated, three generations later, by the same family. 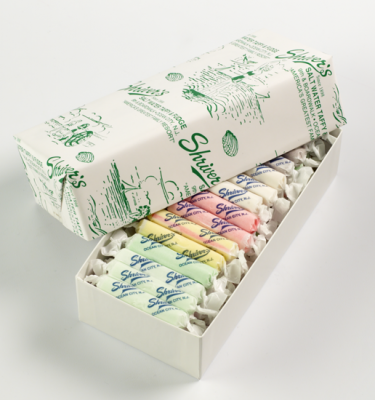 The legacy of Shriver’s famous Salt Water Taffy, Fudge, and other fine confections still remains, over 100 years later. 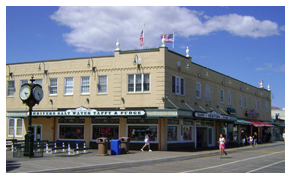 No one else on the Ocean City Boardwalk can boast the rare combination of a factory and retail store where you can come and see our delicious Salt Water Taffy and other confections being made. While you may or may not have visited our retail store, we try to bring our wonderful selections, fun atmosphere, and old time tradition home to you through our website, so please take the time to browse- it’s well worth it! 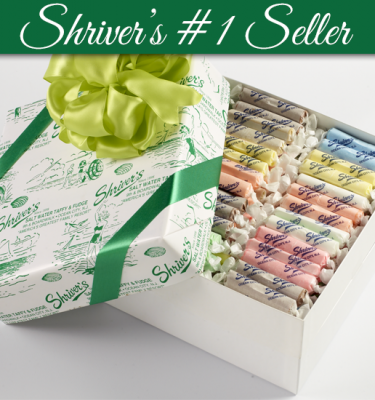 Have any other questions about Shriver’s? Why not check our F.A.Q. !